Ask the locals in Bakersfield about Hwy 58 to San Luis Obispo and they'll tell you there's no such thing and then direct you to the super-slab Hwy 46. Don't listen. 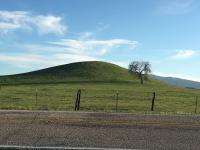 Beginning about a dozen miles west of Bakersfield, Hwy 58 is a roller-coaster all the way to the coast. Giant sweepers with giddying changes in elevation run through pastoral farmland for more than an hour. Then suddenly the road tightens down into twisting loops as you dive into canyon country. Just as suddenly, it all stops and you find you've arrived at San Luis Obispo's back door. on March 4, 2018 3 out of 3 members found this review useful. We (4) were at our hotel in Bakersfield looking for a route west to the coast. We came across the lost highway by a recomendation. So we headed out the next morning and were not,disappointed. So,true about the no amenities unless dirt and asphalt is an amenity. Loved it. Not a stinking car or another vehicle either direction the entire trip.,then we came out of the hills,to,see the solar array on the north side and stopped took in tne valley we discovered. We very well may have missed this. Well worth the miles. What a blast we had. on May 18, 2008 2 out of 6 members found this review useful. Just made this run a few weeks back and it was outstanding. Pastures were very green with lots of wild flowers. We rode from Ventura and added Route 33 to the route home. The only bummer was we ran across HUNDREDS of spandex bikers cluttering the first part of the 58. I have ridden this road before and did not have to put up with them. It was a nice neighborhood until their type moved in ;). It was worth tolerating them in any case. on May 7, 2016 1 out of 1 members found this review useful. Love this road! I live in Southern California and do a bunch of 2 day rides up into San Luis Obispo every year. This road is a "must do" on those rides. It gets included either coming or going. The original review is nails it, so there's not much to add. I will say I see an average of 3-5 cars for the entire trip, and maybe see a LEO one out of every 3-4 times I'm on this road. It's a long route, so road conditions vary, but overall I would the road is in very good condition... But the few sections that are bad can be very bad. I have come across a cow or two standing on the highway in the canyons on the Bakersfield side, so be aware of that possibility. on October 13, 2015 1 out of 1 members found this review useful. This is a Top 10 ride! The mix of twisties, straightaways, and whoop-dee-do's make this a motorcyclists dream. However, this road is NOT for the novice. Some of the turns are very sharp and unbanked giving the rider the invisible push if you aren't paying attention. This route is good for all bikes, big and small! Hope to see you out there! ENJOY! Rode CA 58 from Barstow to San Luis Obispo today - temps in the low 90's. Long straight stretches, but then some great curves and vistas. Not for a novice. High drop-offs and tight curves, but a great ride! I just rode this route three days ago, though I rode it from West to East, ending in Bakersfield. Nice road surfaces, coarse but well kept. I LOVE riding the twisties, though I am not one who has to constantly push for a "personal best". I went out to enjoy the ride on the recommendation of a friend and was treated to a really nice afternoon of cruising in the countryside. Enjoy!! 6/11/17- We (4) were at our hotel in Bakersfield looking for a route west to the coast. We came across the lost highway by a recomendation. So we headed out the next morning and were not,disappointed. So,true about the no amenities unless dirt and asphalt is an amenity. Loved it. Not a stinking car or another vehicle either direction the entire trip.,then we came out of the hills,to,see the solar array on the north side and stopped took in tne valley we discovered. We very well may have missed this. Well worth the miles. What a blast we had. on March 21, 2016 0 out of 0 members found this review useful. I rode this road on my way from SLO to Bakersfield and it's a beautiful ride. The road condition was pretty good except for a few areas. It was pretty empty as well considering it was Saturday afternoon. Make sure you gas up before you hit the road, the sign says "Next services 86 miles." Excluding the crazy number of bugs it was an excellent ride. I took 46 on the way back and definitely regretted it. on July 17, 2013 0 out of 0 members found this review useful. Excellent ride even with 105° heat. on July 17, 2013 0 out of 1 members found this review useful. on September 18, 2012 0 out of 0 members found this review useful. Saw this ride while we were planning a 4 day wekend ride from Las Vegas through the PCH and Yosemite and let me tell you, it FAR surpassed our expectations! We knew the ride from Vegas to Bakersfield would be the "same old, same old" (it was like riding in the Vegas area) but we wanted a change of pace ... and this road delivered in Spades! Lots of twisties (good ones even a loaded Goldwing can do) and scenic views a plenty. The only downside of the trip (hence the 4 grade) involved road construction about 2/3 of the way from Bakersfield. The wait for the pilot truck wasn't bad (under 10 minutes) but the RUSH of the construction workers at quittin time going back to San luis Obispo (SLO, what a fitting name for a GREAT laid back "small" CA town, BTW!) intent on "killing" just about anything foolish enough to venture onto "their" road (yes, I am including our group in that warning!) ... being passed in a twisty "no passing" zone and run off the road twice really lessend the ride overall. Save for the inconsiderate nature of "some" locals, it was a GREAT start to a memorable weekend! Answer for DeDe below... 166 is a really nice road with beautiful scenery, but not exciting in the way 58 is. You can go much faster than on the 58 as there are fewer corners and long straights. The back-track to Pismo from Atascadero isnt really all that bad (it can be freeway all the way..maybe 30 minutes if there is traffic in SLO) and you wont regret it. on February 10, 2010 0 out of 0 members found this review useful. Planning a ride to So. Cal May 2010, Has anyone ridden 166, Bakersfeild to the Coast - (just a bit south of the 58) ? This looks like a great rode but I didn't want to back track to Pismo. Any suggestions? on January 30, 2010 0 out of 0 members found this review useful. My girlfriend and I took this road coming from Taft headed to Paso Robles... I hadn't filled up and didn't heed the no gas for 75 Miles sign and later found out they aren't kidding. Nevertheless, I found this rode to be magical bordering on surreal. The twisties are perfect. The hills in July when I road it were golden and seemed perfectly groomed. The vistas from the top of the hills were outstanding. I Highly recommend this ride! I rode this route from Santa Margarita toward Mckittrick and back, this is indeed the lost highway I saw maybe 5 cars in 80 miles of riding. Awesome riding in the twisties. A little bit of dirt in one area where the shoulders were leveled after recent rains. Other than that very clean, just be sure to gas up! on February 10, 2009 0 out of 0 members found this review useful. I did the 58 / 33 loop afew times, awesome riding!! The only trouble was some cows on the shoulder that got loose. Very beautiful, miss riding in CA!! on December 21, 2008 0 out of 0 members found this review useful. Went thru in late September, found the busle of Bakersfield to have all the vehicle traffic. The further west I rolled, the fewer vehicles I found. I ceased seeing any vehicles after 20 miles or so. cruised near 80, up to the sharp 90 degree turns out in the valley. The view of the valley as I climbed the western side was beautiful. The flat valley with the straight roads melded to the rising, twistys, a rough in places, but no loose stones in most of the corners. A very enjoyable ride. on March 31, 2008 0 out of 0 members found this review useful. The best side detour is Highway 229 just before the start of "13 Corners" before you get to Santa Margarita. The 229 is a great road to take to go out and back, as it's a 1 lane, seldom traveled windy road. It can be a challenge even for experienced riders, as there a few hairy turns often with some sand in them. I wouldn't recommend this road if you have any bike that doesn't have much lean angle. Of course, unless you want some parts of your bike ground down a bit!